Much of the United States has had record cold temperatures and unexpected late frosts this year. We were horrified to walk outside yesterday morning and find frost covering our car here in central Indiana - on May 16! We came home late yesterday to find that indeed the frost had damaged some of our already planted garden. 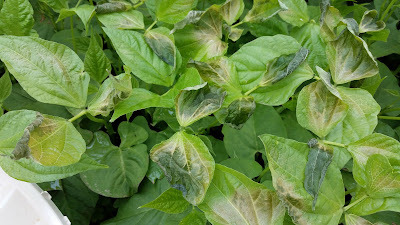 In particular, our green beans had damaged foliage. The dead and dying leaf damage to green beans from an unexpected late frost and record low on May 16, 2016. These green beans were not planted in a Waterboxx. 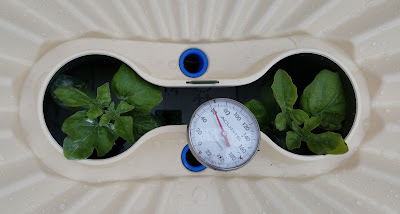 We also noticed, however, that our frost intolerant plants planted inside Waterboxxes (like melons, peppers, and others) had no frost damage at all. How was this possible? Each of these Waterboxxes is filled with water. This water - while not exactly warm (the water temperature is 60 degrees Fahrenheit in the photo above), does hold a great deal of heat because water holds its temperature very well (called a high specific heat capacity). This water and the heat it retains slowly radiates out at night, creating a warmer microclimate in the area immediately around the Waterboxx. The most protected area, of course, is inside the figure 8 shaped central opening of the Waterboxx. However, this warming effect is strong enough that plants that reach well above the Waterboxx are even protected - like tomatoes. 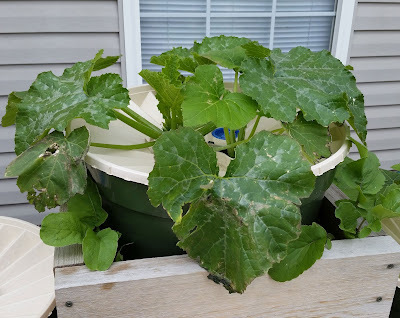 Were any plants in Waterboxxes damaged by the frost? Yes - one of the two zucchinis planted at the top of our Waterboxx Planting Pyramid did have some frost damage along the edge of one of its leaves. Our top most planting in the Waterboxx Planting Pyramid - a zucchini with a small area of frost damage near the bottom of the photo. However, the rest of the zucchini, even though exposed to the full cold of the night sky, was protected from frost by microenvironment created by the Groasis Waterboxx PlantCocoon. What is remarkable about this zucchini is how little damage it incurred. 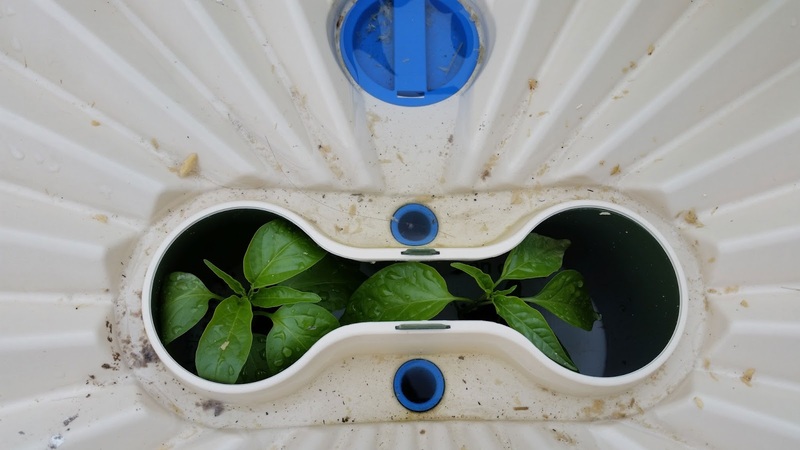 Without the Waterboxx, likely the entire plant would have been dead (it is almost three feet above ground level and well exposed to both north and west winds). However, the Waterboxx greatly reduced damage and will allow the zucchini to recover as soon as the sun returns. The Waterboxx does much more than protect your garden plants from unexpected late frosts. 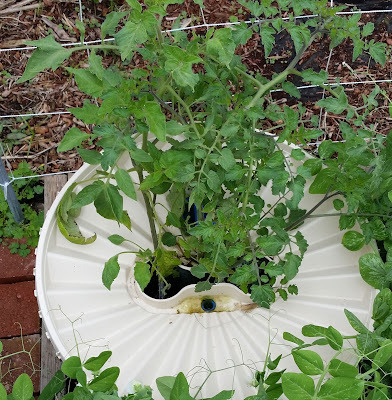 It provides water to them throughout the growing season, collecting condensation and rainwater, storing it, and slowly releasing it to the roots of the growing plant via a wick. 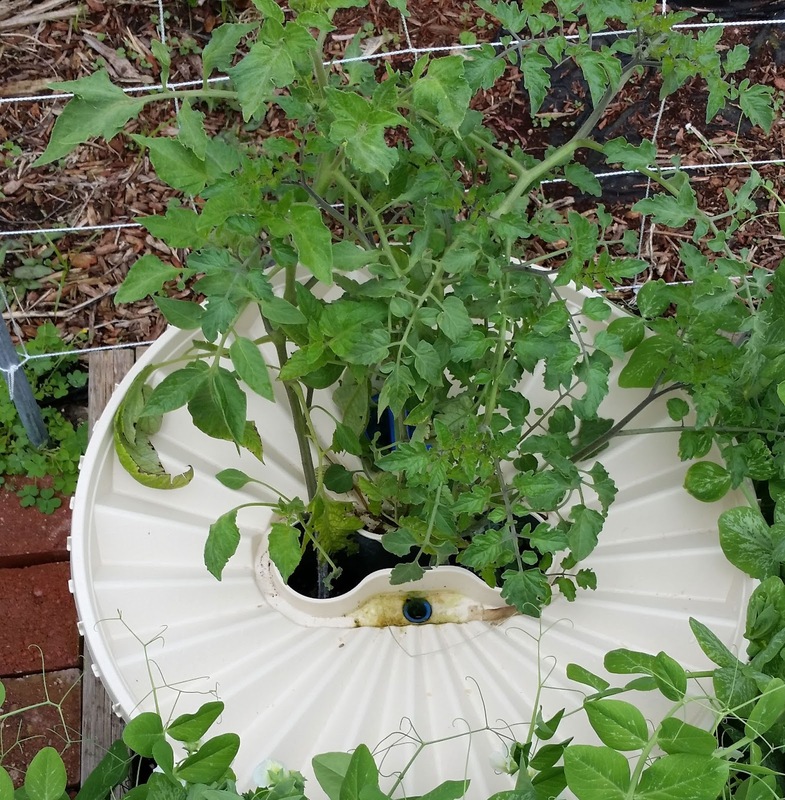 The Groasis Waterboxx also prevents evaporation of soil moisture and prevents weeds from growing near your plants. If you are interested in gardening with the Waterboxx, visit our website, dewharvest.com.